EA felt the World War 1 setting of Battlefield 1 may not attract a segment of the game’s audience. Battlefield 1 borrows its name from The Great War, which is where the game takes place. Before publisher EA greenlit the pitch, it had concerns that younger audiences may not even know what WW1 is. “World War 1, we were worried that many of the younger consumers out there didn’t know that there was a World War 2 or Vietnam, so World War 1…” EA CFO Blake Jorgensen told investors at Bank of America Merrill Lynch 2016 Global Technology Conference, as reported by Gamespot. “I think what people don’t understand about World War 1 is the technology shift that went on during the war,” Jorgensen added. 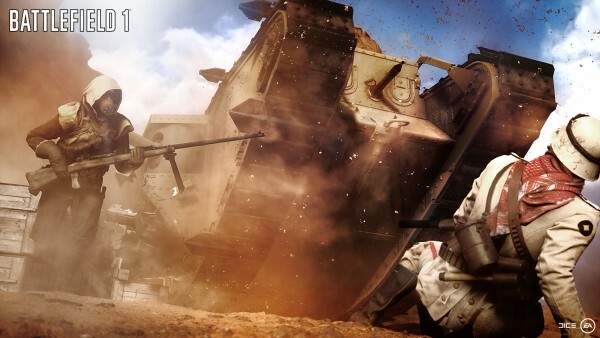 EA’s Patrick Soderlund previously shared similar comments about the World War 1 setting, saying he felt trench warfare wouldn’t be fun to play, but came around after seeing the ideas DICE had for the game. Battlefield 1 is out October 21 on PC, PlayStation 4, and Xbox One.